Dr. Kalyan Sen, senior member IEEE, specialist in technologies for the control of energy flows in transmission networks, visited Chile with an important agenda of activities, starting with the inauguration of the North Sub Section of the IEEE Chile and the launching of the Student Branch of the IEEE at the University of Chile. During his stay, Dr. Sen also participated in the SERC Chile seminar, “Next generation power electronics for solar energy systems”, held in Viña del Mar, where he presented the talk “SMART Power Flow Controller: a Necessity for Future Grid “in front of 60 people. 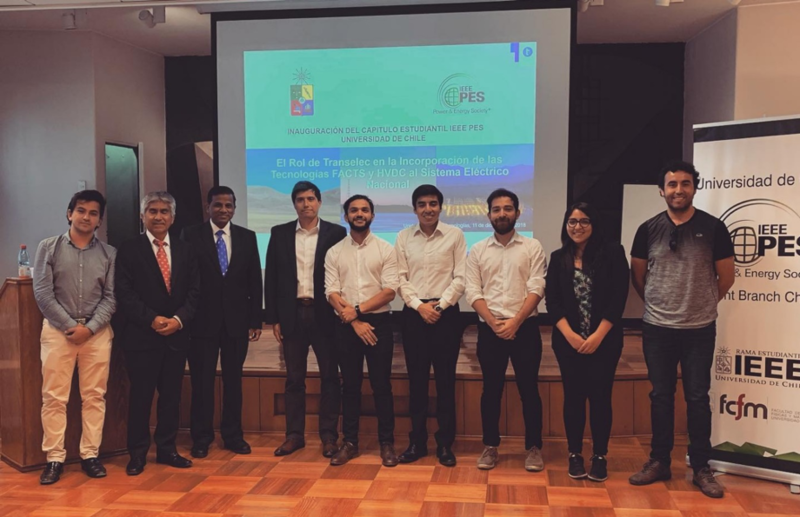 Dr. Sen also gave talks at the University of Antofagasta and met with researchers and students of the Doctoral Program in Solar Energy (DES) of the University of Antofagasta. The visit of Kalyan Sen was carried out with the coordinated efforts of the IEEE Power Energy Society, the Doctorate Program in Solar Energy of the University of Antofagasta, SERC Chile and the Fondecyt Project directed by Dr. Rodrigo Palma. PHOTO: Lecture presented at Federico Santa María University, Valparaíso. IEEE Coast Subsection.